Keep out intruders, make your garden child-safe, use as a divider to separate areas of the garden, or for easy-to-access raised borders, there is nothing more robust and reliable than garden walling in Staffordshire – and with an abundance of materials available they will only enhance the look of your garden. 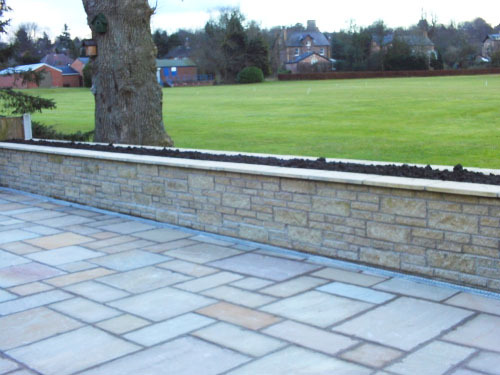 Our professionally designed gardens often will feature an area of stone or brickwork to add depth and texture to the overall design, as well as building a raised platform for a patio, timber deck, paved area or for planting. We can help you to select colours and textures which will compliment your finished garden design.